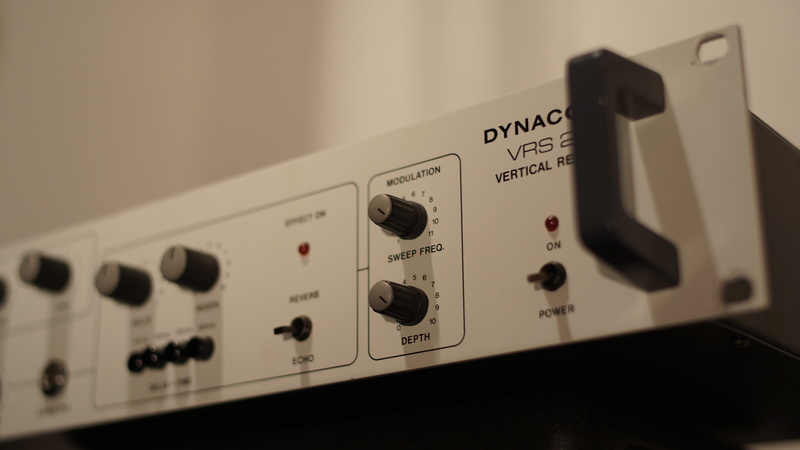 The VRS-23 was a quite successful BBD delay in the 80’s and some thousands of units were sold during that time. It’s a mono-in / stereo-out device and capable of delay times up to around 400ms. Providing also very short timings and a modulation option makes it capable of creating chorus and flanger type of effects as well. There were different revisions available and shown here is a later one with the white faceplate. 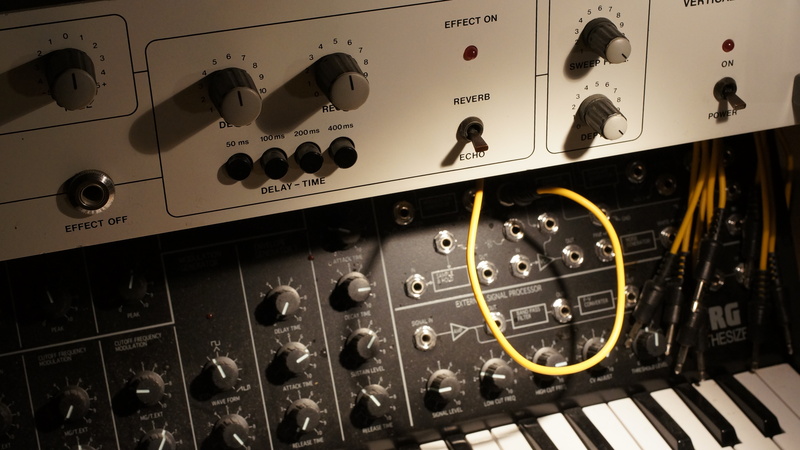 The BBD delays are great companions not only in the guitar rig but also for the classic analog mono synth (as well as their digital recreations). In the delay/echo mode of the VRS-23, the mono input signal splits up into two internal lanes to form a sort of ping-pong effect. Each lane contains 5 BBD chips in serial and the delay time switches on the front panel are allowing access to four different taps of the delay line. The separate delay knob then allows to fine tune the timing by simply changing the clock speed for the BBD’s. In its reverb mode, the clock is faster and the individual taps are getting mixed altogether. 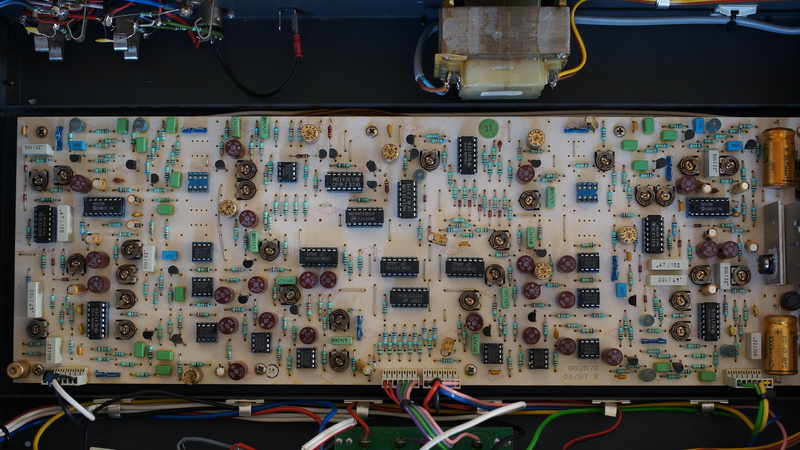 Having a look into the interior and on the mainboard unveils two Phillips NE570 as the compander chips and this actual unit uses 10 Philips TDA1097 BBD chips, each of them featuring a 512 stage BBD line. The TDA1097 is basically an 8-pin version of the TDA1022 where data sheets can be found much easier as of today. The older VRS models were using different chipsets. I’m glad you understand that circuit board. I thought I was looking at Darth Vader’s chest plate. Cool thing in the 80´s. Nothing that we cannot do today with any delay that comes integrated on any host. Am i missing somehitng? but the more i investigate, the more i find that it’s easier to build one in hardware taking advantage of existing designs, than trying to understand every parameter to re-model. the only problem is the same old one : PSU and current filtering. besides that, 70-100 euros and you have made it. I have the vrs23 delay in my rack and its simply amazing! Well i can’t say anything bad about it otherwise you will delete my comment again.. ?